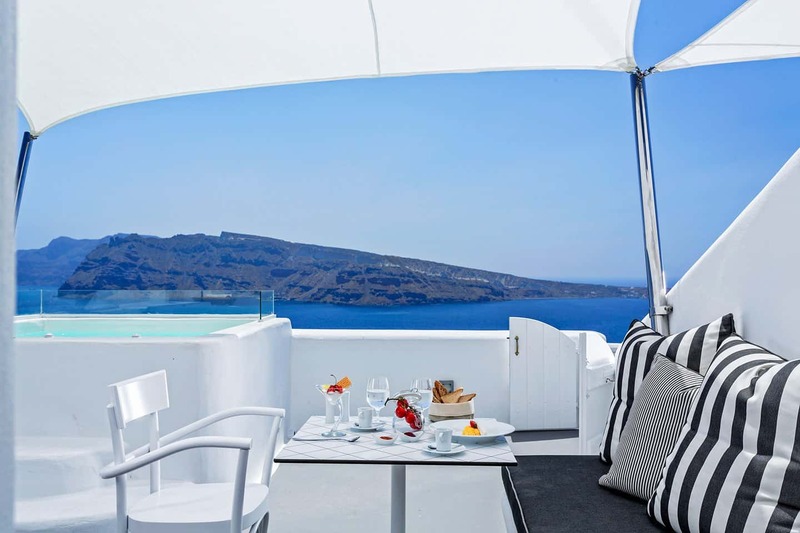 Charisma Suites is an all-suites hotel in Oia, Santorini, with uninterrupted sunset views. 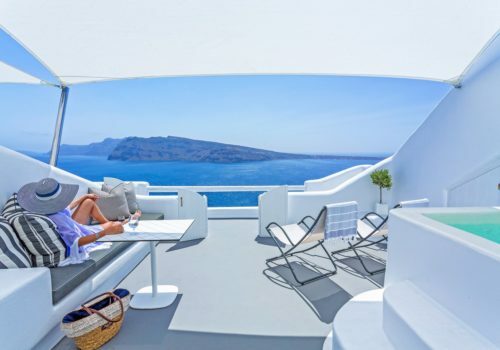 Built on the cliff overlooking the sea, it’s hard to find better views anywhere in Greece. 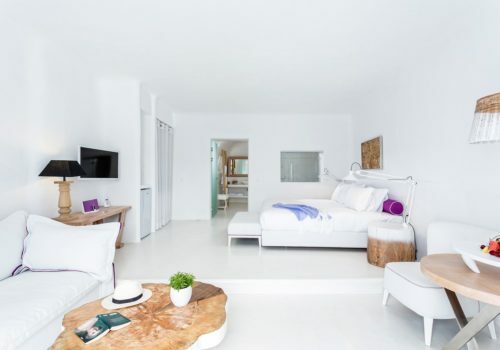 The minimalist Cycladic style is in keeping with the island’s famous aesthetic. The walls are so white it seems as if they’re repainted every day. You’ll be greeted with caldera views as you swim in the pool. 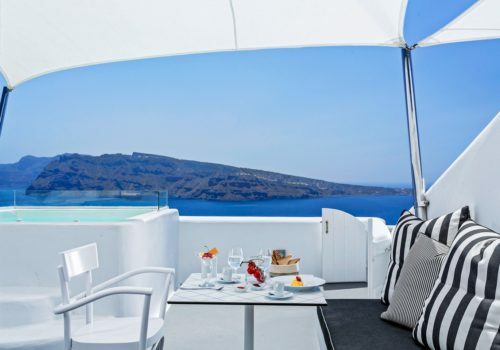 From the privacy of your suite’s verandah, you can watch the famous Santorini sunset. 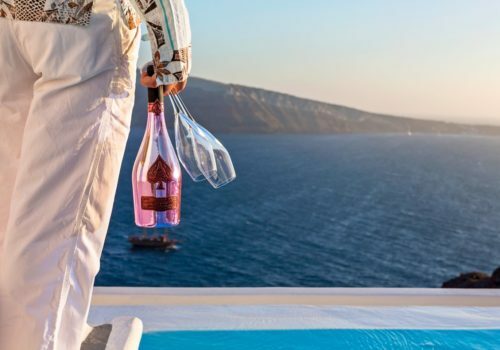 This is one of the most romantic hotels in Greece. The Senior Suite comes with a large bedroom and king sized bed, an open plan living area and fully furnished private verandah. You’ll enjoy direct views of the caldera from your suite. 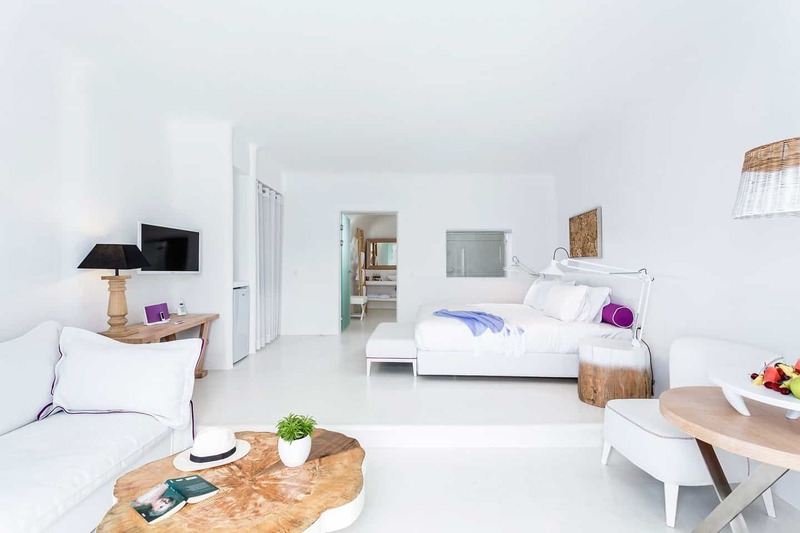 The perfect setting for a honeymoon in Santorini, these spellbinding suites directly overlook the Aegean. You’ll be greeted with endless blues from your private verandah each morning. Take exclusivity to the next level and add a private plunge pool to your verandah. These suites overlook the volcano. There’s nothing quite like taking a dip in your private pool each morning and gazing out over the Aegean. The centrepiece of the hotel is the infinity pool overlooking the caldera. You can wine and dine on light fare by the pool. Massage treatments can be provided in your room.